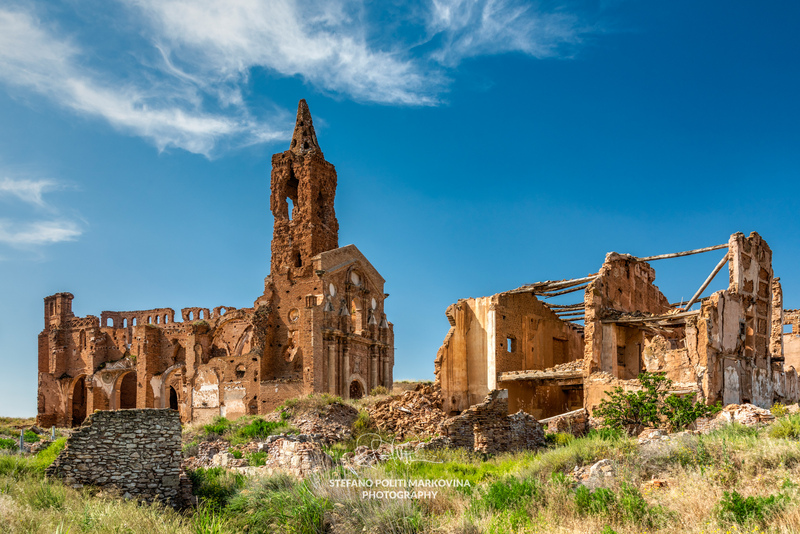 At that time, Belchite was a fortified town with some 4,000 inhabitants. The town found itself on the front lines of these two armies as the Republicans were trying a new series of offensives in order to slow down the Nationalist advance in Aragon. By the way, the real target of both armies was to conquer Zaragoza, located only at short distance behind enemy lines. Conquering Aragon’s capital would have been more than a mere symbolic meaning as Zaragoza was the communication centre of the whole Aragon front. Republicans and Nationalists fought each other in Belchite for two weeks between 24 August and 7 September 1937 in one of the fiercest battles of the Spanish Civil War. Some 150,000 soldiers along with over 100 tanks and 90 aircrafts participated to the battle which ended with a temporary Republicans’ victory after some 4,800 soldiers died and over 6,000 were wounded. One year later, the Nationalists retook the town during their final offensive in Aragon and they won the war. Franco decided to rebuild the new town of Belchite just 2 km away from the original destroyed village which was declared National Monument. The new town was almost entirely built by the over 2,000 Republican prisoners. Today, as the ruins are fenced off, you can visit the old village only through guided tours available at the local tourist office in the new town. Easiest way to reach Belchite from Zaragoza is driving though three daily buses cover the same journey. 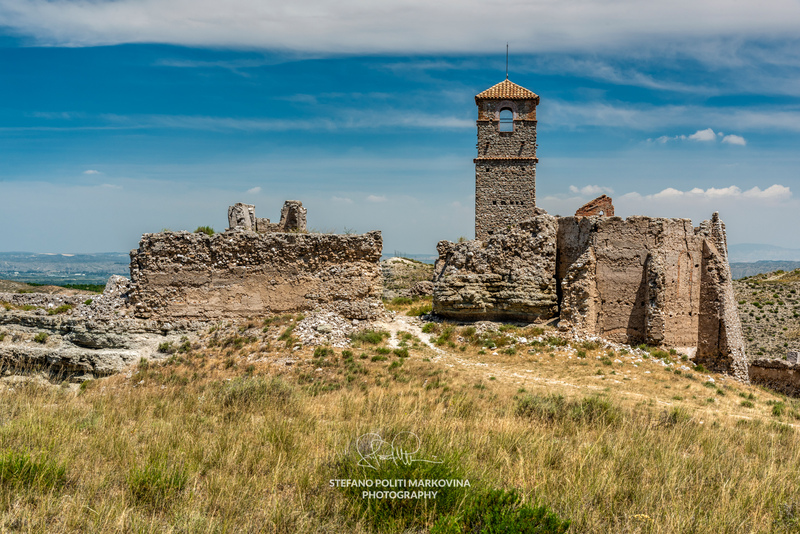 Another not to miss abandoned village as a result of the Spanish Civil war is Roden, some 25 km away from Belchite. 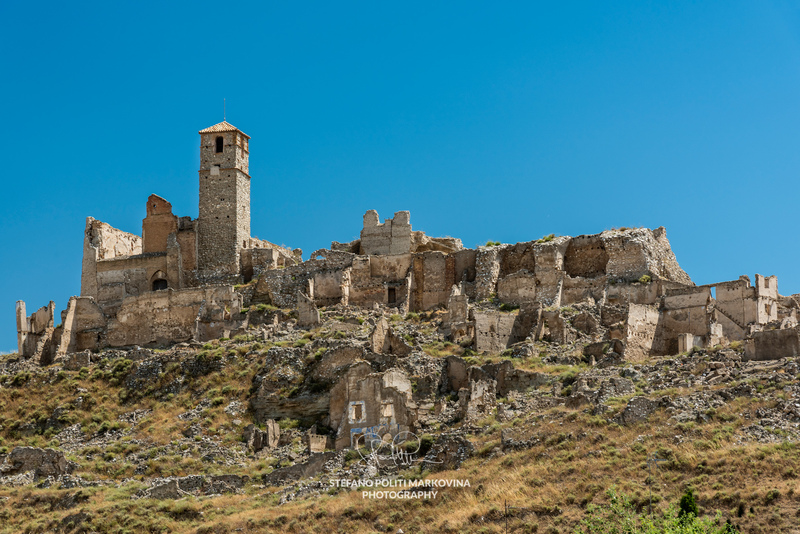 This one is much smaller than Belchite but its hilltop position make this ghost town perfect for a few photos. Driving your own or rent car is the only option to reach this place. Today, the ruins of these two ghost towns stand in the vast Aragon’s wavy landscape as a testament of the human madness and fascism’s brutality.